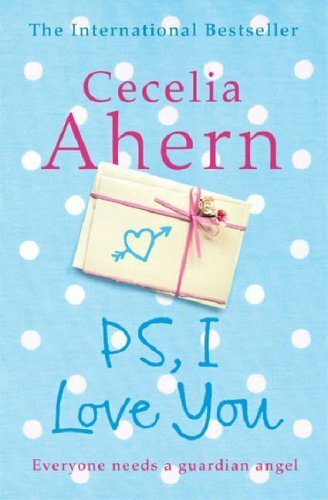 Driving home from church today I had a great conversation with my teenage daughter about writing and we got to talking about Cecelia Ahern who had her first book, 'P.S. I Love You', published at age 21 and how it went on to become a movie. (The movie was great, but nowhere near as good as the book - but that's another story!) My daughter had yet to see the movie and asked if we could watch it. Well, it was a cold drizzly kind of day - perfect for a mushy movie. After lunch we searched through our stash of DVDs, only to come up empty handed. I was so sure I had a copy. A little disappointed, we settled for 'Kate and Leopold'. Time-travel, romance and Hugh Jackman, what more could you want on a rainy Sunday afternoon? A few hours later we were checking if there was anything worth watching on the telly tonight and bingo! 'P.S. I Love You' was on! So we've had a great day watching two of my favourite chick flicks. My other favourites would have to be Sleepless in Seattle and You've Got Mail. What are yours? "You've Got Mail" is a wonderful, fun movie! Have you ever seen "The Matchmaker" with Janeane Garofalo and David O'Hara? One of my FAVORITE chick flicks! 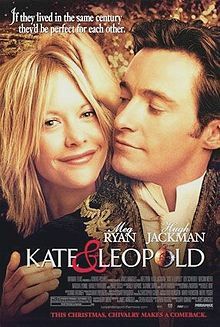 I enjoyed Kate and Leopold. How nice to spend time with your daughter especially when it comes to movies and books. Weather up here is still lovely, a little cooler in the mornings though. My daughter and I like a lot of the same books and movies which is nice. Mornings are definitely cooler here too. The end of daylight saving will ease that a bit. I don't watch a lot of chick flicks but I do have a few favourites. I like North and South and Jane Austen films. jane Austen films are wonderful!